First off, I need to apologize for not having a sample this week. Brady has just been horrific. Plus, we are unexpectedly attending a marriage retreat weekend that started on Friday. I didn't even know we were going until Tuesday. Any who, my week has been a mess. I'm so sad I didn't get a chance to do this, maybe I will on Monday. But don't worry. The DT took care of you guys, as usual. This week's EtsyInspired shop is BrightColorArt. Again, the name does not lie! There is some gorgeous, quirky art in this shop! I just love the fun art style and my DT reacted to this shop SO positively. I've never had them be so excited about a shop before. You should go over and see why! This week, Barbara has offered an adorable pendant/pin (she'll customize it whichever way you want) as the prize. I love the idea of art as jewelry! Isn't that fun? This would be so cute pinned on a handbag or backpack! All you have to do to win the prize is play along with the challenge! Pick ANY item in the BrightColorArt shop to use as an inspiration and make ANYTHING your little heart desires based on it. Post a link to your item right here on this post and you'll be entered in a random.Brady drawing to win! Fun fun fun! Please check out the DT's projects on their blogs. Here's Tiffany's super adorable Sign! I love this! I want one for my house. (Hint, hint) And how cute is that picture? These two are so cute! Guess what? This card is from Ryann! My clean and simple girl was so inspired, she went out of the box. And I just love it! 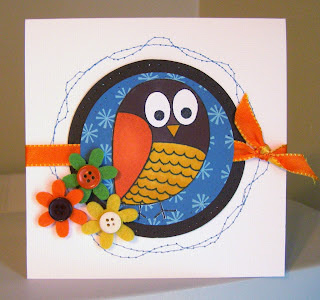 How cute is this bright and fun card? 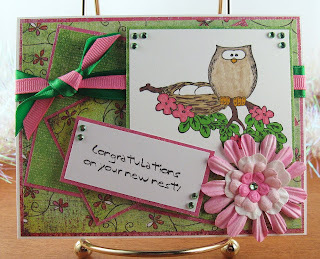 The ever girly Lee made this sweet owl card. I just love the colors! I am so glad that Lee isn't sick anymore and she could play this week. How darling is this? Here's Joy's card. Honestly, I would have made a card JUST like this one. I think the same piece spoke to us. 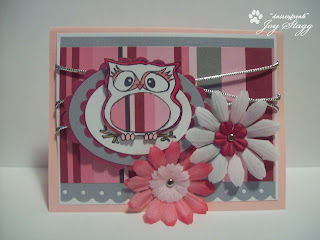 How fun and cute is Joy's card? And here's Tanis's card! Isn't it so bright and fun? I love all the white space! Tanis is a brave girl! I can't ever leave that much white! I love the stitching and the colors. So cute! 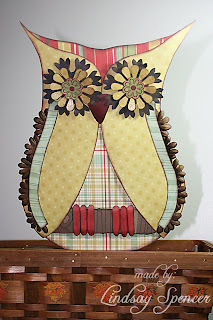 Here's Lindsay's owl! Isn't it awesome? Lindsay never ceases to amaze me with her awesome creativity and thinking outside the box! I love this! Okay, so I was really late. Sorry Ashley! But if you want to see my creation it's on my blog. 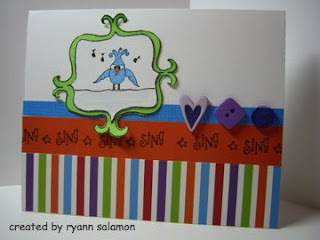 www.lindsays-creations.blogspot.com. I hope you're having a great weekend Ashley!! WOW! I think everyone outdid themselves for this challenge!!!! Wow awesome things ladies!! Love how the inspiration showed through your projects! I played along this week too! 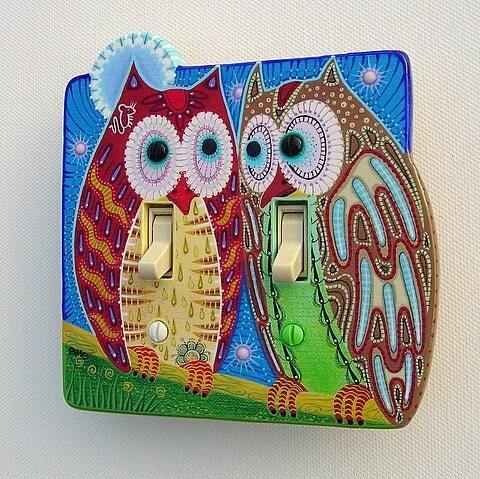 aw the light switch is awesome! Great Challenge -- LOVE your Design Team's cards -- so fantastic! love all the cards for this week!!!!!!!!!!! this was def. a challenge for me! Ashley after the week you had no one faults you for not having a sample done! Very cute shop and the DT rocked it this week. I do not own a single owl stamp! Believe it or not! Hey honey, nice challenge and great DT samples. Here's mine, http://saracreativemind.blogspot.com/2008/11/creative-kick.html. I agree that the cards and projects are just so fun!!! You sure pick such fun and amazing inspiration for us!!! DT - AWESOME job! Tiff, yours rock! I love it!